Centra 24-Inch Vanity Cabinet in White Simplicity and elegance combine in the perfect lines of the Centra vanity by the Wyndham Collection<sup></sup>. If cutting-edge contemporary design is your style then the Centra vanity is for you - modern, chic and built to last a lifetime. Featuring soft close door hinges, drawer glides, and meticulously finished with brushed chrome hardware. The attention to detail on this beautiful vanity is second to none. Available in several sizes and colors. 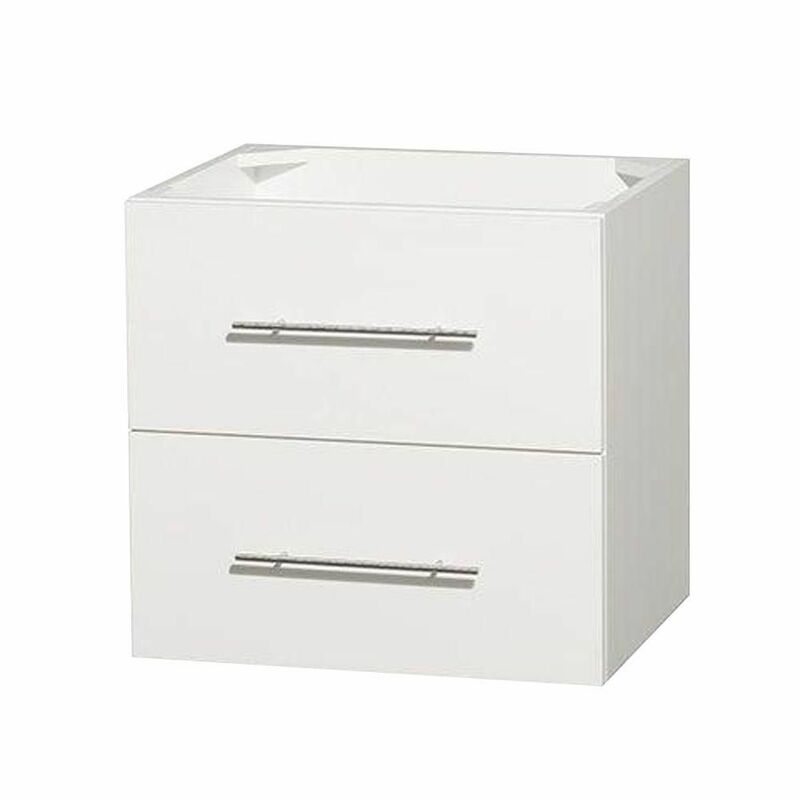 Centra 24-Inch Vanity Cabinet in White is rated 4.0 out of 5 by 1. Rated 4 out of 5 by Marylyn from I had looked on line at a LOT of floating... I had looked on line at a LOT of floating vanities. They were either well made and in the $1000 bracket or particleboard in the $300-$400 bracket. The Wyndham collection was priced right and was constructed using real wood.